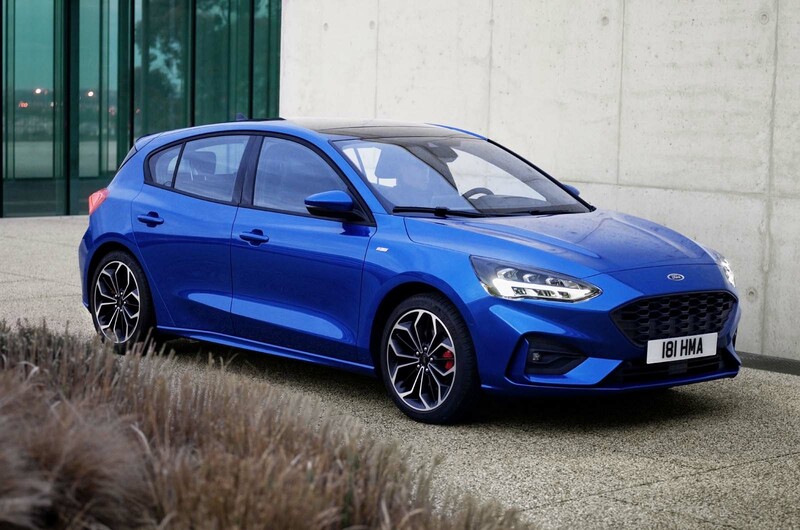 Ford said it has retained driving engagement as a key priority for the new Focus, the fourth-generation version of the small family hatchback that redefined the company’s attitude to dynamic ability when it was launched in 1998. 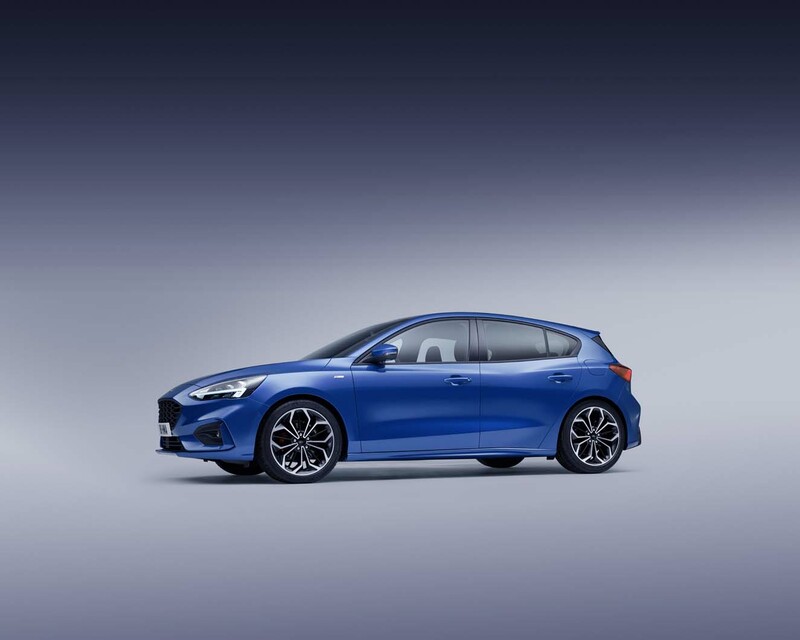 The new Focus, which has now gone on sale with first deliveries expected in September , will come in two bodystyles in the UK: five-door hatchback and estate. A saloon will remain on sale in select other markets. There will be four trim variations and Ford said a raft of new technology will make the Focus the most advanced car it sells in Europe. 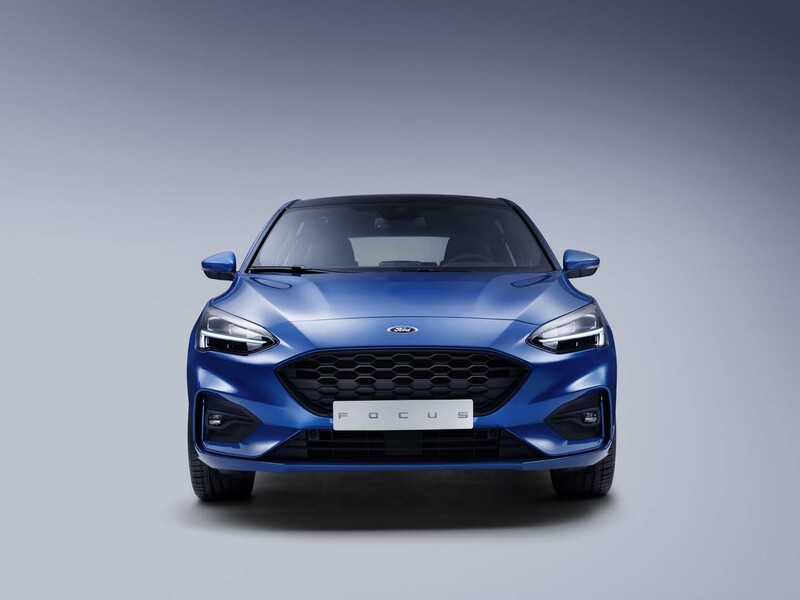 Prices for the new Focus in the UK will start at £17,930 for the entry level Style trim – £2300 less than the equivalent third-generation Focus - with the top Vignale trim starting at £25,450. The Focus Zetec and ST-Line, which combined are expected to account for more than half of UK sales, start at £19,300 and £21,570 respectively. Speaking at the launch of the new Focus in London, Ford's European boss, Steven Armstrong, said: "The new Focus is, quite simply, the best car in our 114-year history." 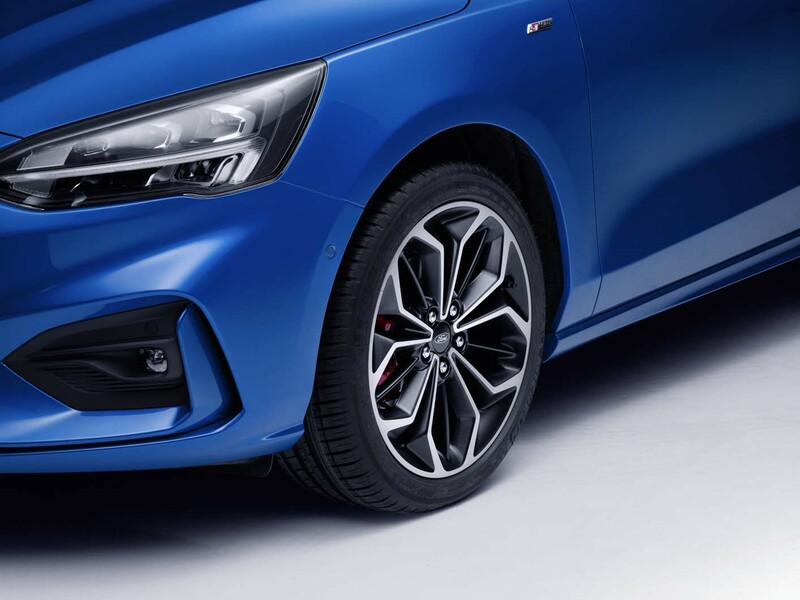 The hatchback will be offered in ST-Line trim, which has suspension that is 10mm lower than the standard car’s, and as an Active-badged near-crossover variant, which sits 30mm higher than standard. Ford’s upmarket Vignale specification will also be offered, along with the regular Titanium trim level. Aside from otherwise consistent interior architecture, the Active version will feature some harder-wearing materials, Vignale cars will receive more upmarket trim with more satin materials and ST-Line models will be more sporty. Regular Titanium versions will sit somewhere between them. A hot ST version will follow and although there has been no official confirmation of a high-performance RS model, Autocar understands there will be one with a 400bhp, 425lb ft mild-hybrid powertrain. The latest Focus is built on a highly adaptable new Ford platform, called C2, which will underpin dozens of medium-sized forthcoming models, including the next-generation Kuga SUV. By 2021, Ford expects C-segment SUV and crossover sales to outstrip those of regular models. Ford estimates that by the middle of the next decade, the European markets for mid-sized SUVs and cars will be roughly 3.5 million units apiece. The enduring popularity of C-segment cars, which currently make up 19% of all cars sold in Europe, is one reason why Ford – unlike GM, which dispensed with its European Vauxhall/Opel arm – remains committed here. The Focus and its C2 platform have largely been developed in Europe. The new model is a crucial part of the successful ‘One Ford’ plan that means Fords built on the same platform are sold in multiple regions: Europe’s Mondeo is the US Fusion and the Mk3 Focus RS was sold globally. The Focus’s new platform is said to liberate interior room in a package little bigger than today’s model. The wheelbase is 53mm longer, at 2701mm, while the overall length is only 18mm longer (now 4378mm, pretty normal for the class). The width is about the same, at 1820mm, and the new car is 15mm lower than before. It’s also lighter than today’s Focus. Ford hasn’t confirmed kerb weights yet because final homologation hasn’t been completed, but it says the new car is up to 88kg lighter, like-for-like, than today’s Focus. Some 33kg of that comes from the chassis, which uses a greater proportion of high-strength steel and a few aluminium elements in the front crash structure. Overall, body rigidity is up by 20%, but this increases by as much as 50% around the suspension elements, which, Ford says, allows it much more flexibility in suspension tuning. 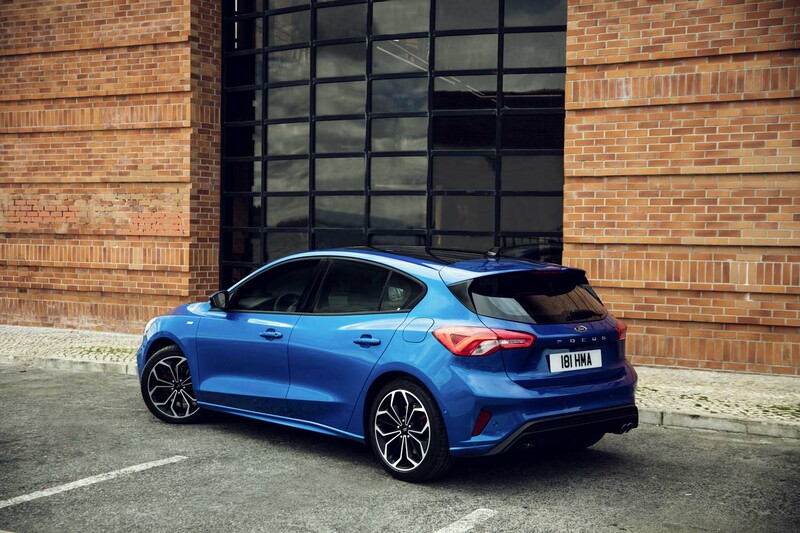 The body panels are 25kg lighter than those of the previous Focus, the interior loses 17kg andthe powertrain and electrical systems each lose up to 6kg and 7kg respectively. At launch there will be a line-up of pure diesel and petrol engines, with a mild hybrid to follow next year. Initially, petrol engines are familiar three-cylinder Ecoboost units, adapted for improved economy. The 1.0-litre triple has a new turbocharger and cylinder head, a higher compression ratio (now 10.5:1) and increased injection pressure (250bar), and it has a petrol particulate filter. It comes with power outputs of 84bhp, 99bhp and 124bhp, each with estimated CO2 emissions of 108g/km. A development of the Fiesta ST’s three-cylinder 1.5-litre petrol will also be offered with the Focus. It includes cylinder deactivation and will come in 148bhp and 179bhp forms, offering CO2 outputs of 120g/km or thereabouts. There will be two Ecoblue- badged four-cylinder diesels. The 1.5 comes in 94bhp and 118bhp forms and produces from 94g/km of CO2, while the 2.0-litre makes 148bhp and emits about 110g/km. All will drive through a six-speed manual transmission or, optionally on the highest-powered petrol of each size, the top-spec 1.5-litre diesel and the 2.0-litre diesel, an eight-speed automatic. It’s a conventional torque-converter auto rather than a dual-clutch unit, following an industry trend towards smoother conventional auto gearboxes. Ford now expects the 1.0-litre petrol to be the biggest-selling variant, taking over from the 1.5-litre diesel. Unusually for a Focus, the chassis set-up will depend on which engine is specified. The 1.0 petrol and 1.5 diesel will get a twist beam rear axle. Bakaj believes this will give driving characteristics “just as good as today’s Focus”, which has a fully independent rear end. The current Focus has been the benchmark for the new car’s twist beam: Bakaj says potholes thump a bit more with the torsion beam, but otherwise you’d be hard-pressed to notice the difference between the two. Higher-spec Focuses will get an independent rear end, in the form of a rear double-wishbone set-up that is meant to further improve comfort. But it’s standard only on 1.5 petrol or 2.0-litre diesel models, on the Active crossover, on the estate and on Vignale versions. The ST-Line, with its lower suspension and stiffer bushes (on double-wishbone versions) is “the car that delivers on the Focus promise more than any other”, in the words of Bakaj. That promise includes a turning centre that feels like it’s adjacent to the driver, to give one of the most agile feelings in the class, and a rear end that ‘tucks’ on turn-in with a lift of the throttle. 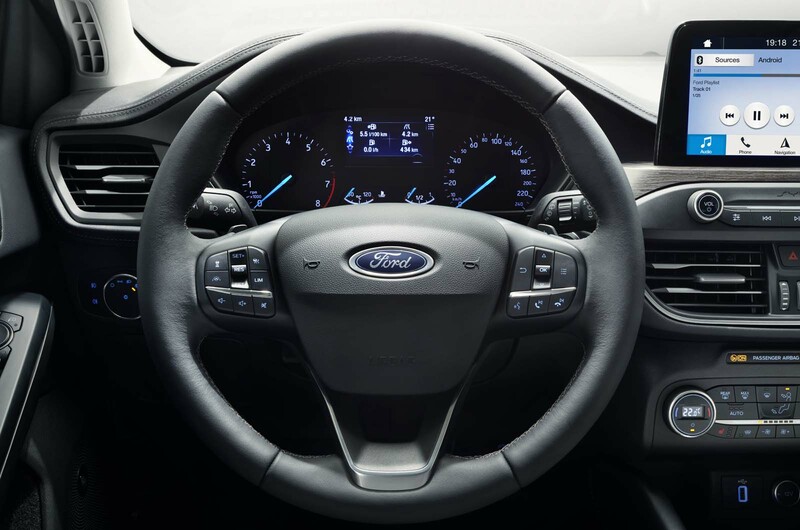 All Focuses get three driving modes, which will affect the steering weight, automatic gearbox operation (if fitted) and throttle map. The modes will also adjust the adaptive dampers that are offered as an option on cars with double-wishbone suspension. 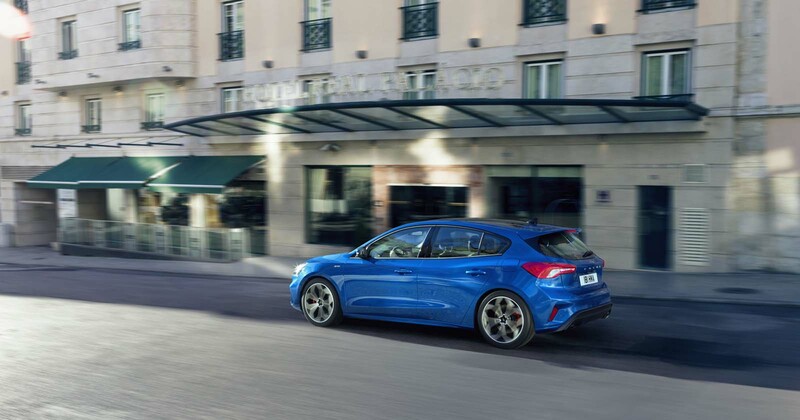 The estate’s suspension uses lower and wider dampers to increase the luggage volume to the extent that there’s a width of 1.14m between the wheelhouses – 12cm more than any rival car, according to Ford. The overall load length is up by 134mm, to 1700mm with the rear seats folded. With the seats in place, the load area can be covered by a tonneau that can be operated one-handed. There’s additional storage space beneath the boot floor. 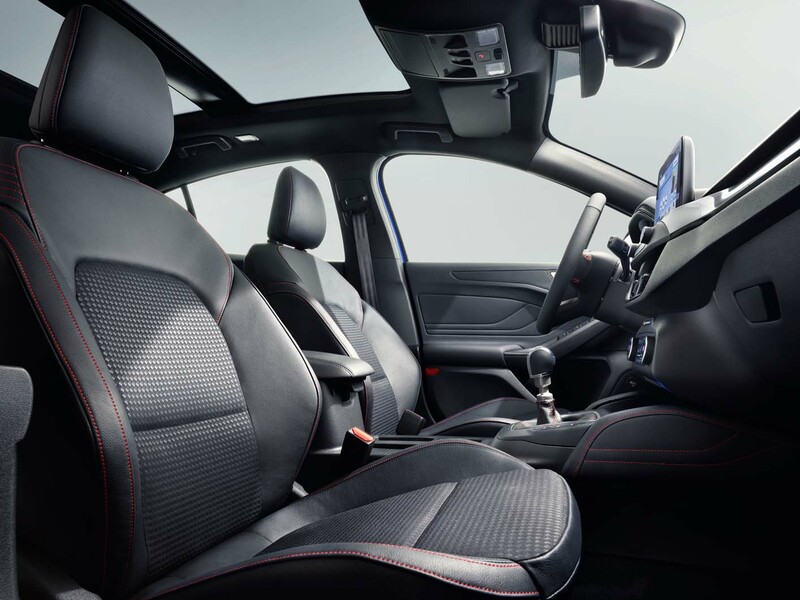 Thanks to the wheelbase extension, the Focus’s interior dimensions are said to be vastly improved despite the only modest increase in external girth. Rear knee room is up 56mm, front shoulder room is said to be class-leading and, thanks to a reprofiling of the rear doors, rear passengers’ heads are now adjacent to glass rather than metal, so they can see out more easily. Structural changes aside, some of the Focus’s extra interior space has been created by making the windscreen more upright. 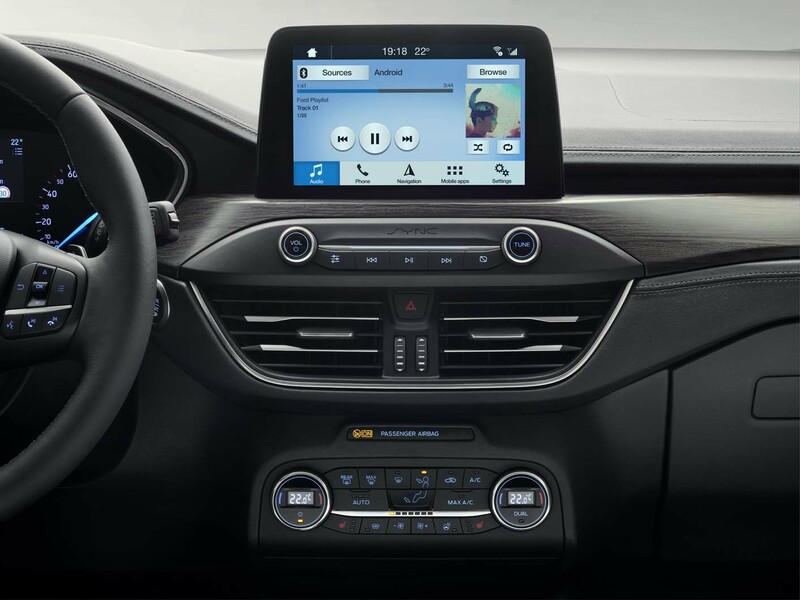 That reduces the depth of the instrument panel, which has 50% fewer buttons owing to a complete redesign of the multimedia systems. Ford says the Focus will be the most advanced car it sells in Europe. It will have radar- operated cruise control and lane-keep assist to level two autonomous standards, emergency auto braking, park assist, rear cross-traffic alert and, significantly for passengers, a wi-fi network that will connect to up to 10 devices and work up to 15m away from the car. 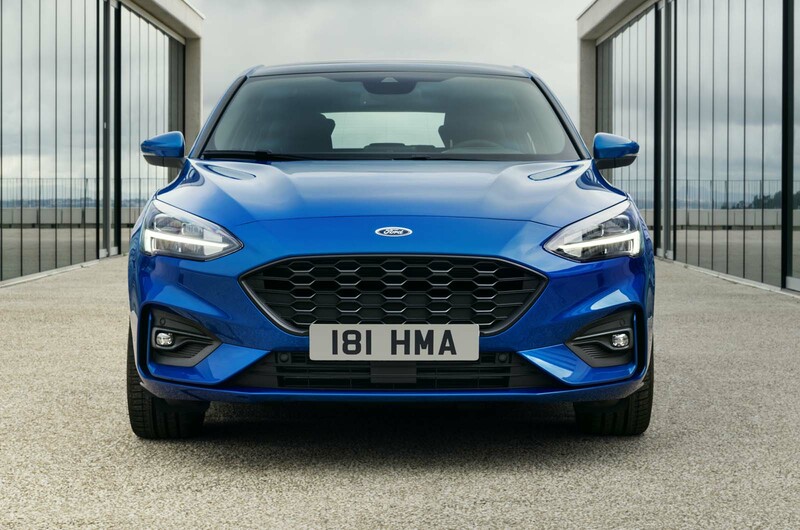 Although it’s disappointing that a hybrid variant of the Focus Mk4 hasn’t been announced at launch, Ford has at least confirmed that a mild hybrid is on its way. Next year, a 1.0-litre Ecoboost engine will be mated to an electric motor, via a 48V electrical system, which is becoming the norm for adding boost and reducing emissions, but it doesn’t offer prolonged fuel-free running or plug-in charging. Instead, a lower-capacity battery than that of a true hybrid stores energy, generated under deceleration via a starter/generator, to help power the car in town, or fill a low-end torque gap. It’s natural to assume that the Focus mild hybrid’s chief rival will not be Volkswagen’s Golf GTE, which has a 101bhp electric motor combined with a 148bhp 1.4-litre petrol engine, but instead a mild- hybrid version, which has yet to join the Golf range. Ford’s Joe Bakaj said the Focus’s 1.0/48V system will have a similar CO2 output to that of the high-powered diesel with an auto gearbox, so around 110g/km, then. The complexity of making a clean modern diesel, plus the slowly reducing battery costs for hybrids, means that a mild hybrid is “starting to get to the same cost” as a diesel, said Bakaj. But the two offer different things, and a diesel still can’t be touched for long-distance economy. “It’d be a real shame if society turns away and we can’t sell diesels,” Bakaj added. The current Focus is a good car but it lost a lot of it's fun factor and (pre facelift) it wasn't very good looking. This new Focus is sharper looking and more luxurious. If Ford can make this car more fun to drive like the Focus used to be then I think they'll be on to a winner. Current Fiesta is a great car.